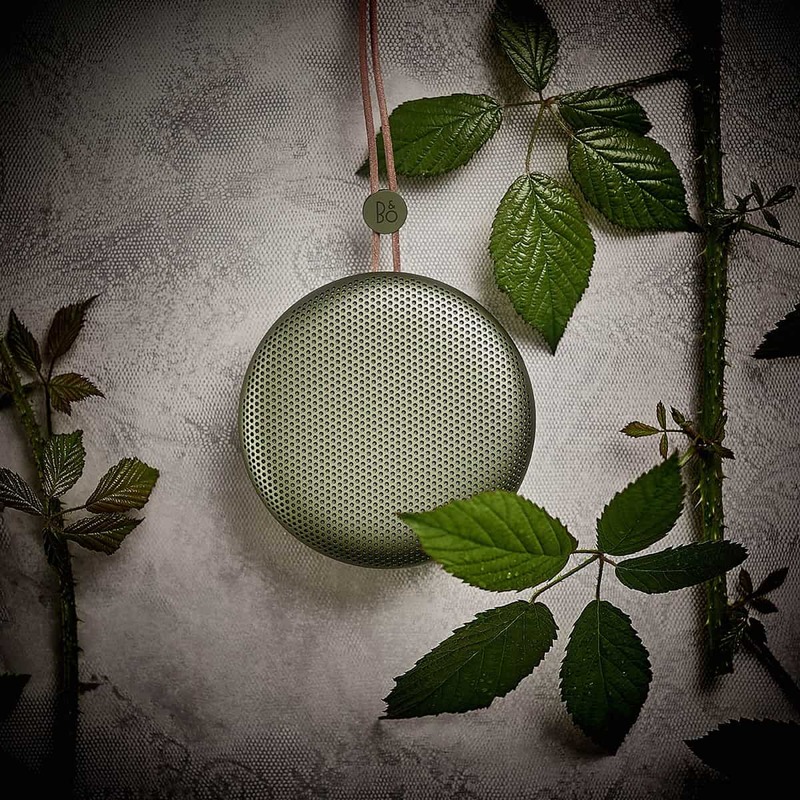 A day is incomplete without a little music and this beautiful speaker looks at home in the wilderness. We are going on a road trip around Australia later this year, and looking to take our love of vinyl on the road. We have obtained a portable record player (Audio Technica AT727 Sound Burger) and now looking for a pair of speakers that can be used wired and wirelessly as a left and right channel pair. 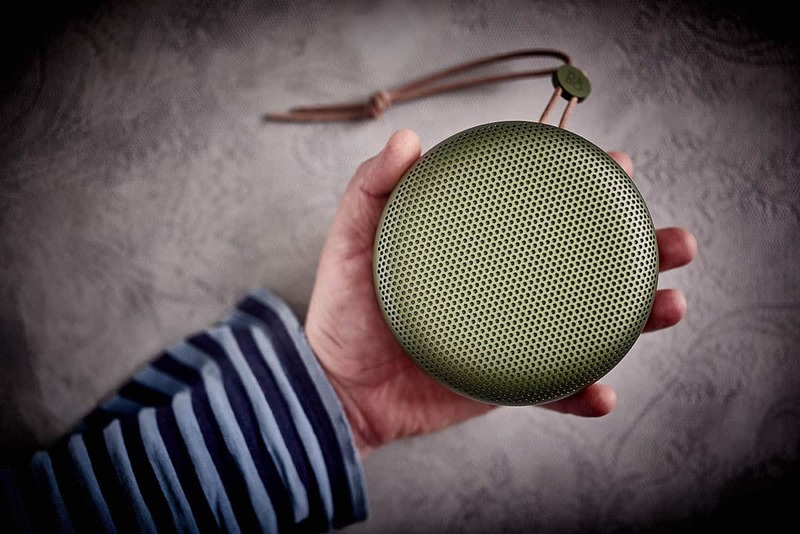 A strong contender for our choice of travel speakers – the Bang and Olufsen Beoplay A1 – is as much beautiful piece of design as a practical solution for quality sound reproduction on the road. 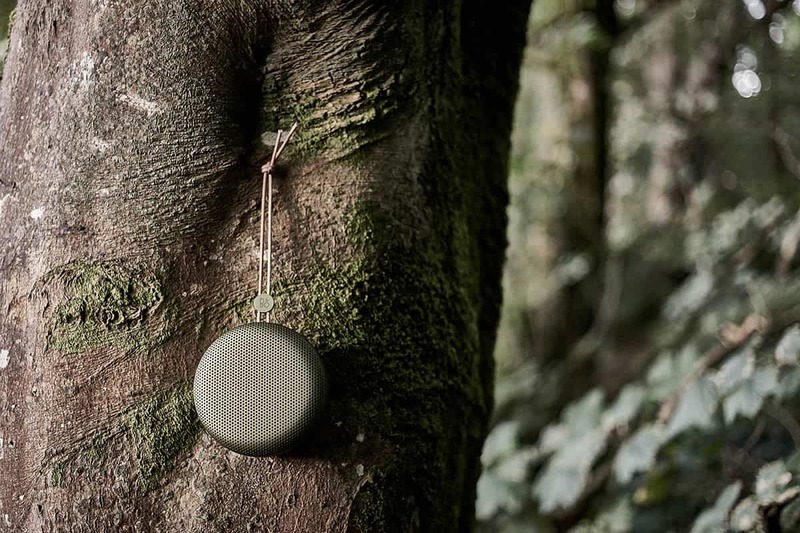 For many years we have been fans of the robust and stylish Jambox bluetooth speaker, it has traveled with us around the world, serving up Spotified tunes on nearly every location shoot for the last 7 years, perfect for listening indoors at a close range, we have been pleased with it’s sound and it’s diminutive size. For the Australian road trip however we are looking for something that packs a little more punch – we will be playing vinyl on a portable Audio Technica AT727 Sound Burger, and looking for two speakers to use wired, and hang a pair of speakers to hang from trees around 4 meters apart outside the caravan – so most interested in sound quality, volume and battery life. We will also be listening to a lot of music in the caravan in the evening, and require two speakers that can be set up as left and right channels for a more immersive sound. Most use beyond the road trip with be via bluetooth, so it need to fit in a camera bag and not be too heavy. …like a pistachio macaroon made from exotic martian materials. Design, build quality and durability. Weather proofing is key when assembling a kit for the road – as is durability. 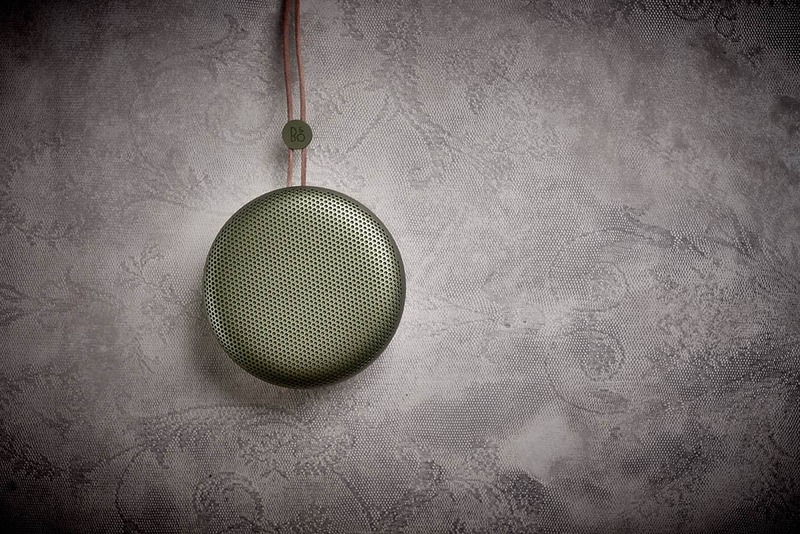 Splash and dust resistant, the Beoplay A1 is designed to take some beating, and love the fact that the official marketing shows an A1 with dents and scratches, with the tagline ‘Every scratch tells a story.’ Guessing the speaker will age nicely, perhaps the speaker grill could be a little more robust – time will tell. Weighing in at 600 grams it is little on the larger size for carrying up a mountain – but if you do, the sound reproduction will be worth it. 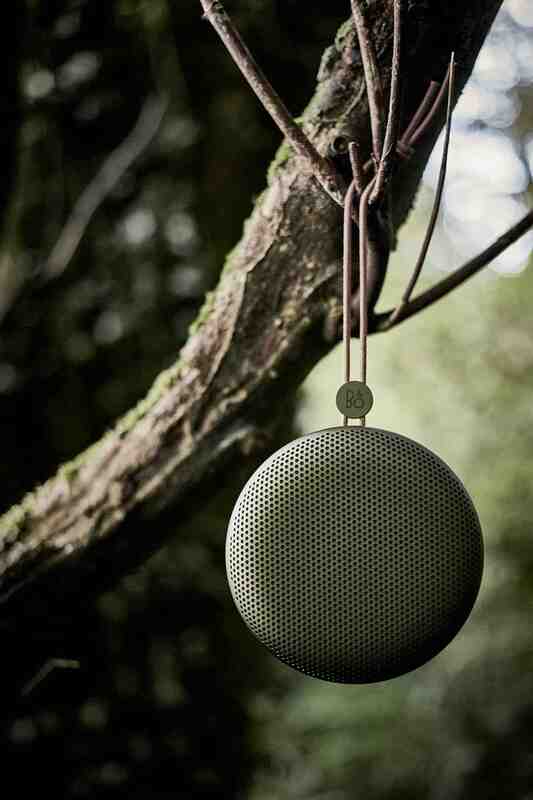 We tested the Bang and Olufsen Beoplay A1 connected via cables to the Audio Technica AT727 Sound Burger and also streaming over bluetooth – listening to various LPs ranging from the Rolling Stones raw balls-out rock to the beautifully produced Juicy Fruit by Kraak and Smaak. The A1 performed well indoors, filling the room with crisp and bright sound, connected via cables to the AT727 it sounded rich and via bluetooth clear and bright, bass was not overpowering. We took a unit outside for a test in the woods, and walked around the speaker to try and understand the 360 sound mentioned in the marketing. Hung up using the lovely little leather strap the sound was decidedly directional. 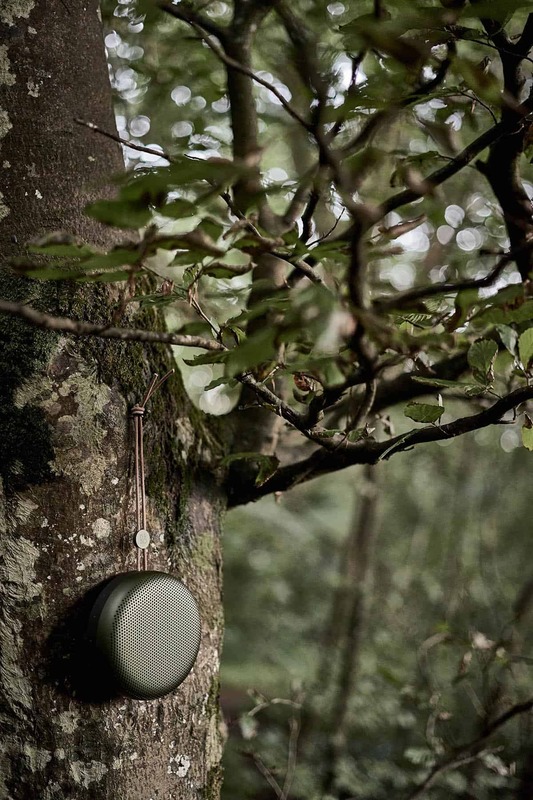 In my mind this is a good thing as we dont need to fill the whole forest with sound – just the area we are camping in. On the road battery life is critical in all of the kit we are testing, after the road trip we will be using the speaker on our restaurant photoshoots. Built-in, rechargeable, 7,2V, 2200mAh, Li-Ion – not a huge battery, but it does keeps the sound flowing for hours on end. According to the marketing the battery lasts 24 hours at moderate listening level – so we tested this by streaming music at a volume similar to that of conversation, in the studio overnight – after 18 hours the speaker was still going. We expect that these speakers will outlast the Jambox – Jawbones support for their speakers seems to be waning as they focus on their range of fitness trackers. Considering we have had the Jambox for 7 years and it is still performing, we are guessing a lifetime of over 10 years on the superior Bang and Olufsen Beoplay A1s is a safe estimate. Using this yard-stick, the A1 would cost around £18 per year, good value for something that we will use and enjoy on most days of the week.